Replacing your business’s roof is not an easy undertaking, but it will have to happen at some point. While traditional asphalt shingle roofs will last for a decade or two, the shingles are prone to damage and require routine maintenance and repairs. 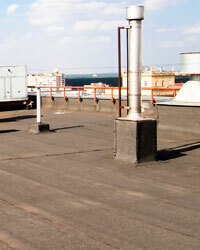 Upgrading your older roof with a new metal option may be the best bet for your business. Not only are metal roofs more energy efficient and durable than their shingle cousins, they’re also available in a variety of colors to suit your business’s exterior. If you have a distinct color scheme on the outside of your building, consider picking a metal color that will complement your existing exterior. Often, it’s possible to find a color that matches your logo or your exterior trim, giving your building a unified look. Prior to picking a color, be sure to check for any local ordinances restricting color or roofing material. The color of your roof is really just a matter of personal preference rather than a statement of the energy efficiency of your building. Ultimately, all metal roofs are designed to be energy efficient, and the color of the metal should not make much of a difference in your heating and cooling costs. What truly makes the difference is the amount of insulation you have between the roof and your attic. With proper insulation, a metal roof will be more efficient than asphalt or tile shingles, and will be just as quiet during severe weather. 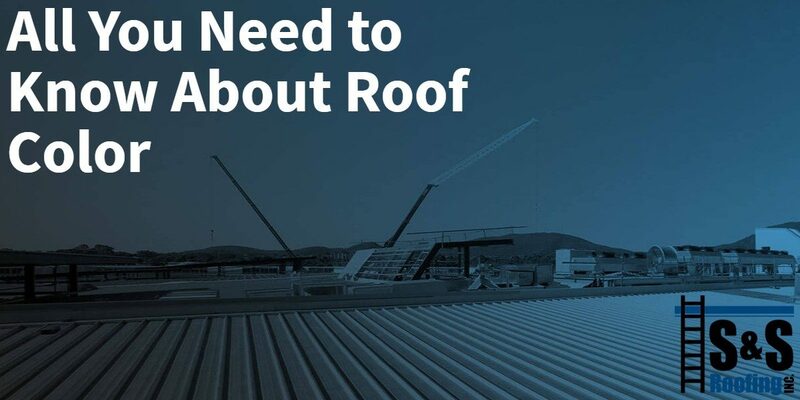 If you’re looking to replace your business’s roof and are considering a metal roof installation in New Jersey, contact the experts at S & S Roofing today. We’ll work around your business schedule, whether you need us on a weekend or overnight. Call today for your free estimate.